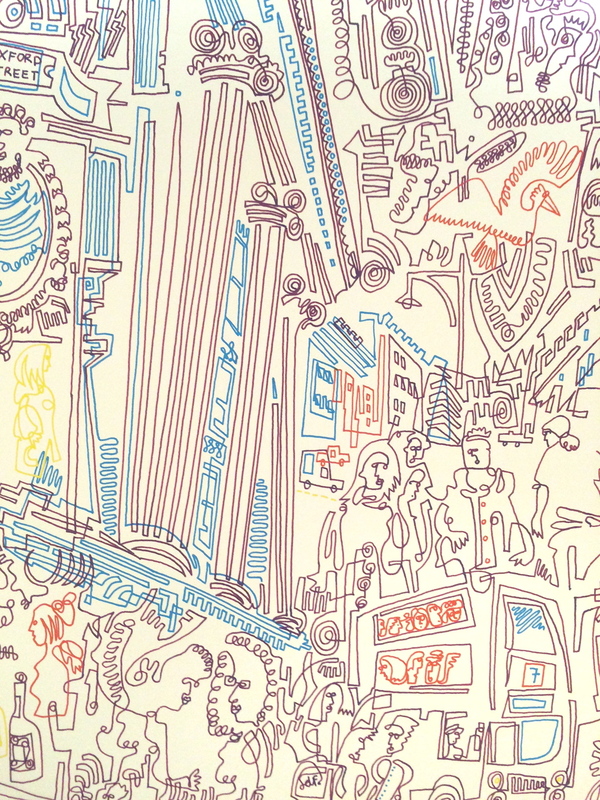 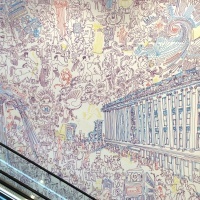 London-based illustrator Jonny Voss has created a 200m-long mural for Selfridges that incorporates images of some of the building’s design details, the shop’s interior and its customers. 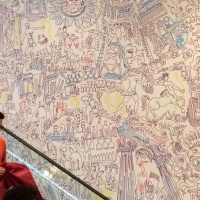 “I spent a few days in the building beforehand drawing the shoppers, the architectural details and the iconic facade,” writes Voss on his site at jonnyvossart.blogspot.co.uk. 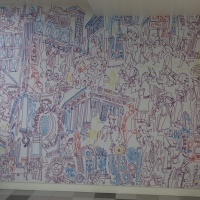 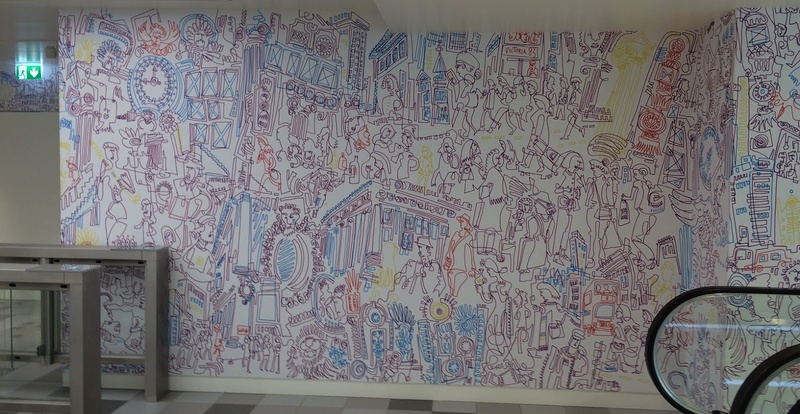 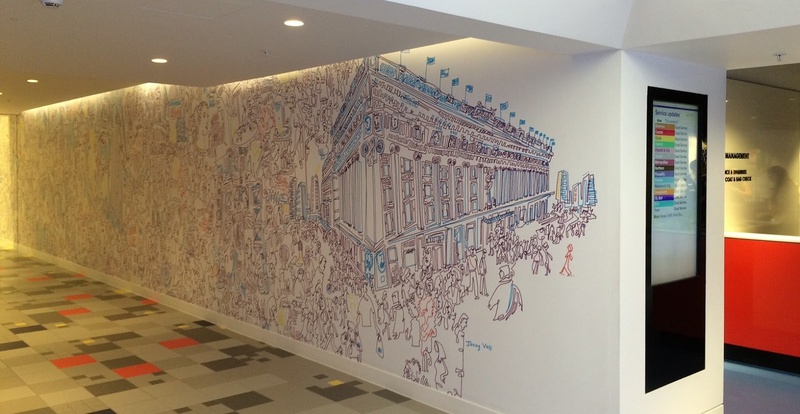 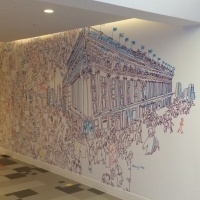 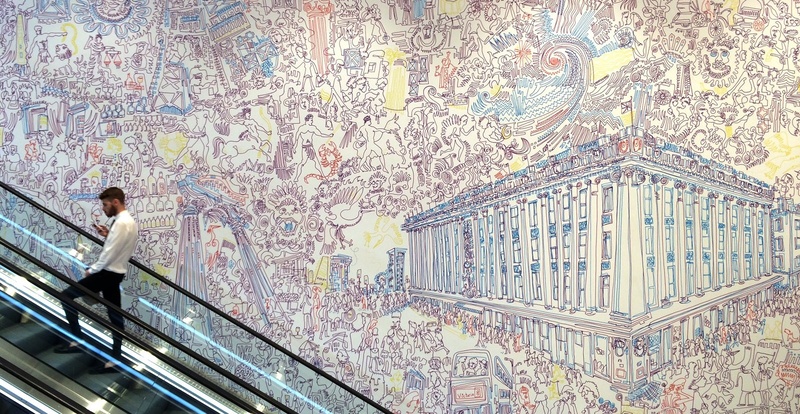 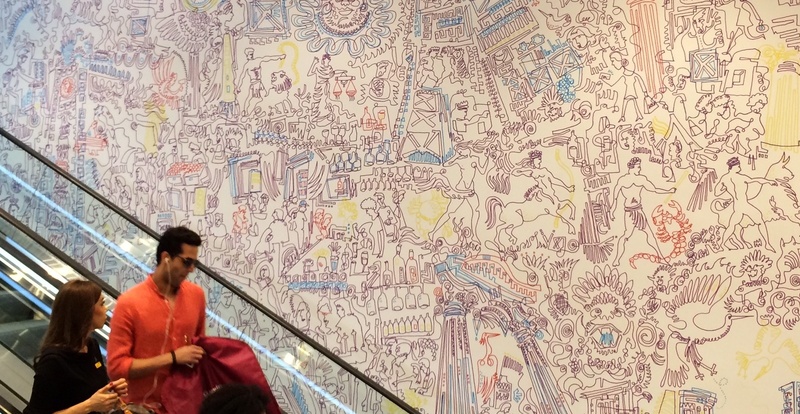 Commissioned by Ashleigh Vinnal and Lee Curtis at Selfridges, the highly detailed mural runs down an escalator and opens up into a large main section which features a large drawing of the shop, before continuing on for another twenty metres.